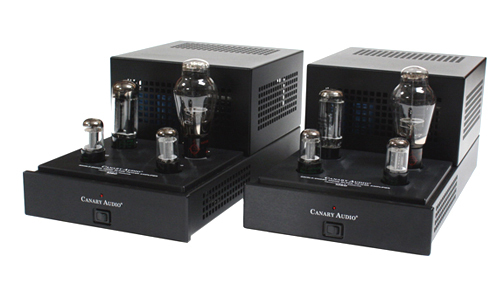 The Canary Audio SET 300b M-80 is a mono-block amplifier that retails for $9,000.00/pair and puts out eight watts per channel. My demo pair came in black and was quite handsome in its appearance. 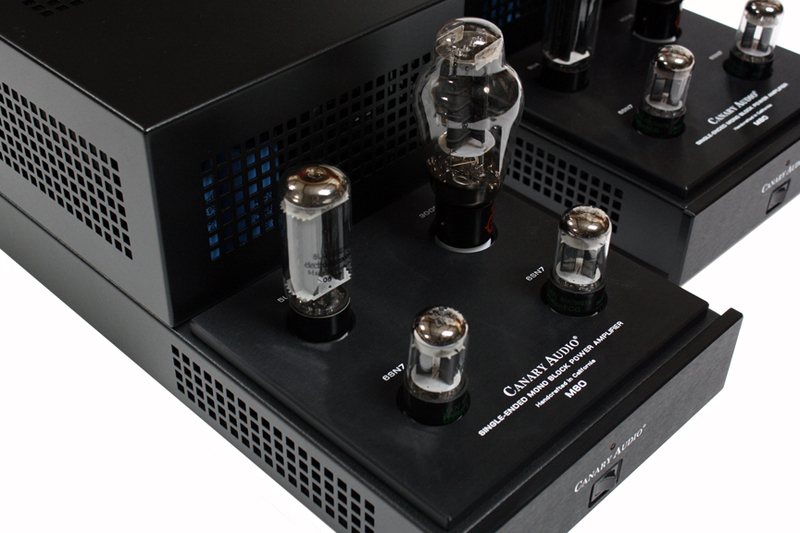 As usual for Canary Audio the build quality is superlative using the finest internal components and the chassis work is on a lofty level compared to anything on the high-end market today. These M-80 mono-blocks offered the highest level of purity of tonality/timbres, lifelike imaging both in the size of the sound-stage, along with 3D imaging with air between the different instruments, and that silky, grain-less ease that only a SET design can produce. 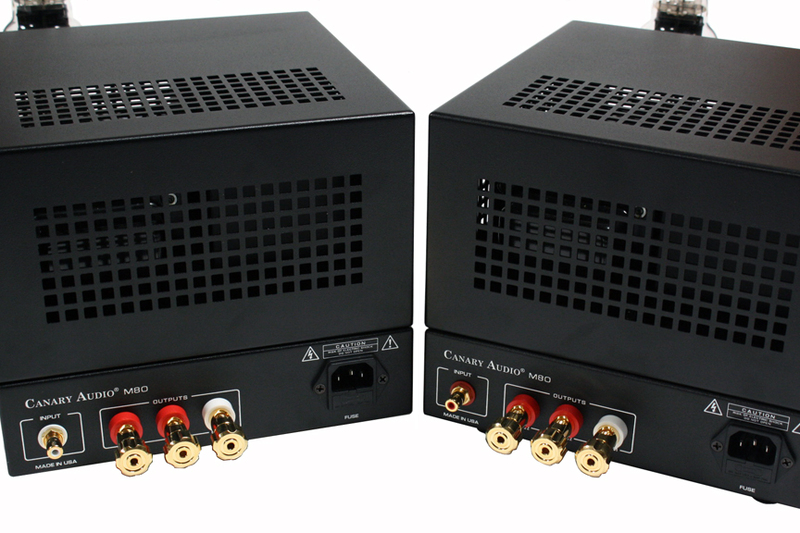 However, strikingly compared to other 300B SET amplifiers that I have reviewed, the Canary Audio SET M-80s added powerful macro-dynamics, pressuring my large acoustic space in a way that you'd think could only be done by a 100-watt amplifier! This did not come at the expense of musicality or a natural presentation. When the recording venue had a very large space and was big on macro-dynamics/sub-sonics, the M-80 mono-blocks gave me the total experience in a powerful way. These Canary Audio mono-blocks serve up beautiful representations of acoustic music (Jazz,Classical,Vocals). However, if you want to "rock out" to hip/hop, rock, rap, dance music, electric, and big orchestra pieces, you want to have the M-80 mono-blocks driving your system. Full review to follow in the future. 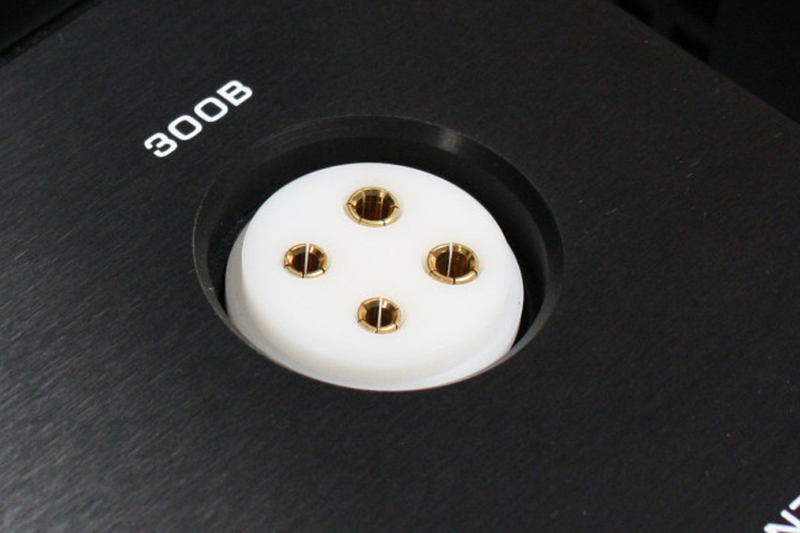 When building the M80 monoblock power amplifiers, we used the highest quality parts and components that we could ever find. Executed and assembled the design with the best traditions of American craftsmanship. In addition to that, the M80 is auto biasing. There is no need to ever worry about biasing the amplifiers. Listen to the M80 and experience what single-ended is meant to be. 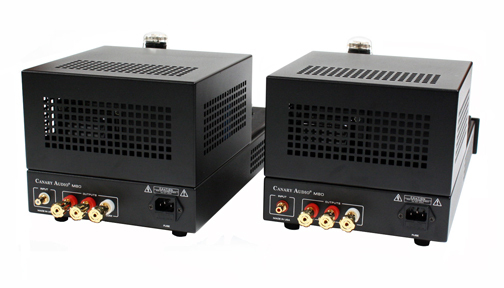 An independent, choke filtered high voltage supply is used for each channel. . Custom made gold plated binding posts.